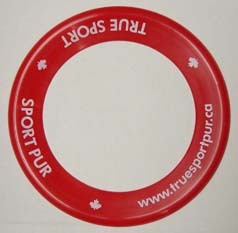 Order your True Sport products to show your commitment to the Principles. To order any of these products just fill out the form below. 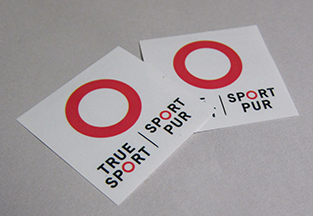 A True Sport representative will contact you to verify your order, confirm the total cost and process your payment. Note that taxes and shipping costs apply to certain products. Once you click submit, a confirmation email with a summary of your order will be sent to the email address provided on the form. 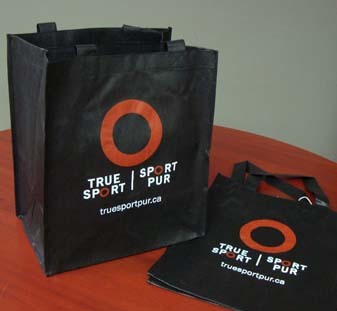 If there are any of our products you would like to co-brand with your own logo please contact us for a quote. 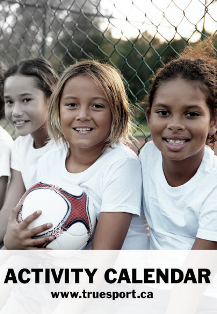 Wallet-sized guide to help parents ensure sport remains a positive and fun experience for their children. A seasonal calendar to start any month. Inlcudes stickers to track your phyisical activity. 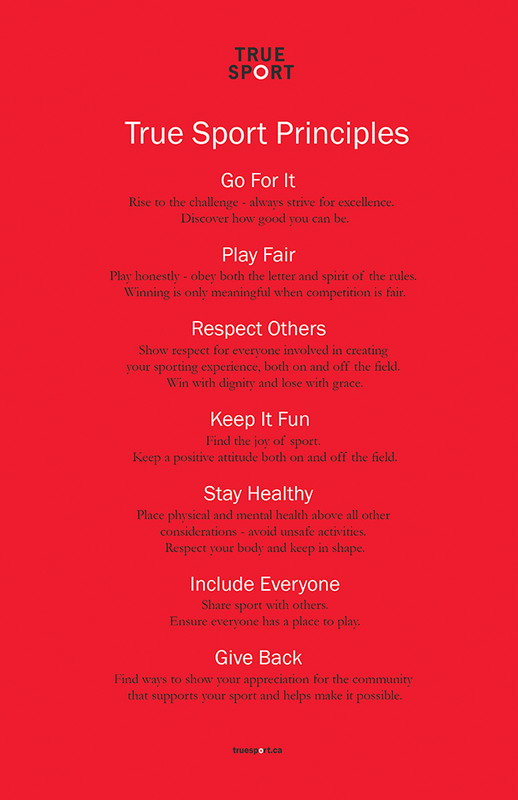 Display the True Sport Principles on this 11 x 17 poster. 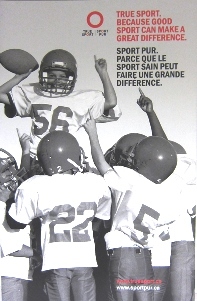 Vinyl banner displaying the True Sport Principles. 42 x 66. Includes hanging hardware. Vinyl banner, includes hanging hardware. Additonal shipping charges may apply. Bilingual. 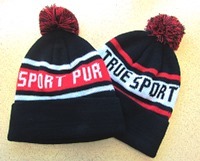 One size with adjustable strap. Bilingual. One size fits all. Made in Canada. Black uni-ball gel grip pen. 9.5" x 12" x 4.5"